The Animal Care Project in Romania is based at the world’s largest bear sanctuary close to the Carpathian Mountains, on the outskirts of Brasov. This voluntary Animal Care placement is suitable for people who are passionate about the protection of animals and for those who enjoy the outdoors. Placements at the bear sanctuary are suitable for gap year students, university students and those taking a career break. This Animal Care project is aimed at volunteers who are ready for an adventure and will get stuck in with what ever tasks are needed! A weekly timetable is always put in place so you are aware of what your role will be for the following week. Romania is home to Europe’s largest population of brown bears. In Romania, many bears are sadly still kept to entertain tourists. The bears often receive a poor diet and not enough water; they are kept in cramped cages and in poor conditions, with little protection from the bitter cold in the Romanian winter. 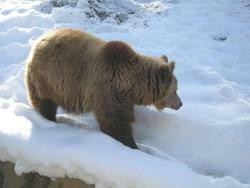 In 2006 the bear sanctuary near Brasov was established, providing a purpose built home for rescued bears. The sanctuary accommodates almost 30 bears in over 70 hectares of forest. The sanctuary is increasing in size each year, as more bears are rescued and the number of bears is expected to increase to about 50 within the next year. Volunteers help to prepare and provide food for the bears, and feed them. Vaccinations and disinfestations also occasionally take place, which you can observe. You can also help with activities such as the maintenance of fences in the forest, digging foundations for new facilities, and generally helping with the conservation of the forest by planting trees and shrubs. When the bears are first rescued they are transported to the sanctuary where they have an initial medical check at a health centre. Once they are sufficiently recovered, they are gradually introduced to forested enclosures where they quickly revert back to instinctive behaviour. Before arriving at the sanctuary these bears knew little of life outside a cage, whereas at the sanctuary they have pools to splash and swim in, food for foraging and places where they can make dens. Although the Romanian law protects bears from abusive and poor conditions, as there was previously no place for authorities to house rescued bears, this law could not be enforced. The primary aim of the sanctuary is therefore to help eradicate the cruel exploitation of bears in Romania, by empowering the Government to enforce the law. The sanctuary also aims to develop a rehabilitation and release programme for cubs brought to the sanctuary, enabling them to return to the wild. 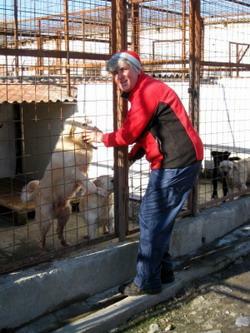 All volunteers stay with a local host family in Brasov and will get local transport to work each day. This project is only available from March to November, due to the bears hibernating in the winter months.